A small handful of 4K UHD OLED laptops made it to CES this year that were unfortunately overshadowed by Nvidia Turing and the next generation of AMD processors. We've gone ahead and listed these laptops here for easier reference. OLED for laptops is significant because the technology offers immense benefits over the common IPS panel. Black levels and response times are near perfect even when compared to the best IPS displays in the market. The technology is becoming more widespread on smartphones and tablets like the iPhone X and Galaxy Tab S4, respectively, but high costs and low supply continue to impede its development for laptops. It's worth noting that all the OLED laptops below have 15.6-inch screens. OEMs typically source from the same pool of panel manufacturers including Samsung, LG Philips, AU Optronics, and BOE. Thus, it is very likely that the following laptops will be sourcing the 15.6-inch OLED panel from just a single provider. Many of these models will be launching in the same time Q1/Q2 time frame as well. We're unsure who this provider will be until we can get our hands on the first test sample. Nearly all OEMs have omitted the launch prices of their OLED laptops likely being these will carry quite the price premium over the typical IPS SKU. Although a no-show at CES 2019, the XPS 15 is expected to come this March with the 4K UHD OLED option in tow. This mid-range gaming laptop will also receive a complete design overhaul in addition to the 4K UHD OLED option. 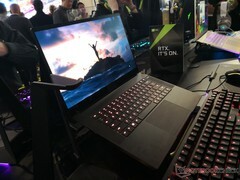 The 2019 Alienware sports the same chassis as the 2018 model but with faster Core i9 and GeForce RTX options. HP's flagship convertible is becoming more powerful with each new generation because the OEM is not afraid to increase thickness for better performance. The 4K UHD SKU will launch in just a few short months as well. 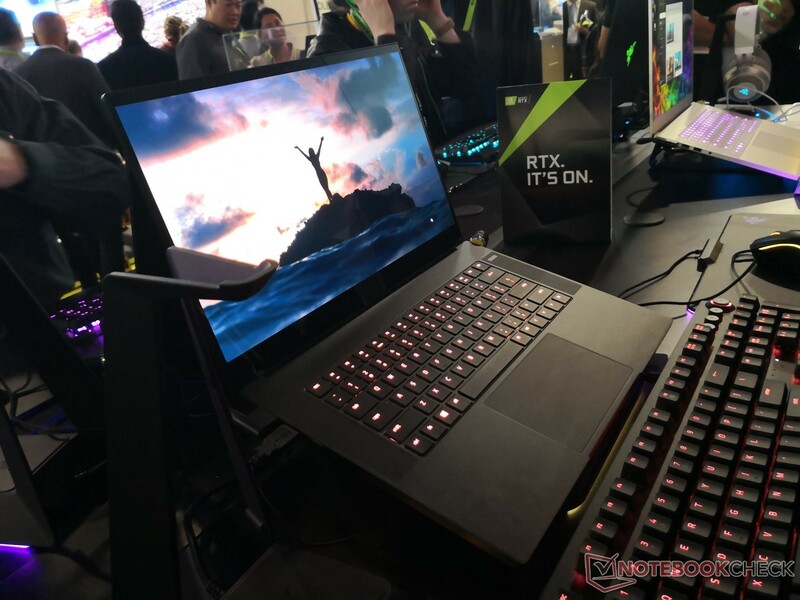 Razer was the only one at CES 2019 to showcase a working gaming laptop prototype with the 4K UHD OLED panel. Strangely, the manufacturer didn't want to demo it running any games.